Supporting our front line staff, we have a range of enabling services, from health and safety, patient experience and information governance, toinformation technology, finance and human resources to name a few. You can access a range of flexible working options to help you with your work-life balance. We have embraced agile working as a Trust, helping you make the most of each day with the least amount of travel time. As a teaching trust, with strong links with our local universities, we conduct research and provide training and education for medical, psychology, nursing and therapy students. If research is something that is important to you then come and join us! We offer a volunteering scheme for all our staff, as part of our commitment to supporting local communities. Our Community Health Services are implementing innovative approaches and digital systems to enable staff of all levels to work in joined up ways to support our patients in the most effective way – particularly through integrated locality teams with social care. Our Adult Mental Health and Learning Disability services are committed to a 5 year programme to transform their care pathways to deliver a more connected and responsive service. Our Family, Young Person and Children services work in innovative ways to meet patient needs and offer new ways for people to access them, such as their award-winning website Health for Kids https://www.healthforkids.co.uk/ and award winning confidential text messaging service ChatHealth. Our services work to deliver high quality care for adults with acute and enduring mental health conditions and complex learning difficulties, across Leicester, Leicestershire and Rutland. Our services range from acute inpatient care, acute assessment and home treatment, day care, psychological therapies, community-based mental health care and assertive outreach. We have innovative partnerships with the police, EMAS and UHL for those experiencing mental health crisis, as well as a crisis support service provided by Turning Point. We also have locality-based learning disability teams, short break homes, specialist inpatient care, autism and outreach services. Our learning disability teams also offer specialist advice and support to others involved in caring for someone with a learning disability. As a teaching trust, we are committed to conducting research and provide training and education for medical, psychology, and nursing and therapy students. We offer a wide range of posts with these services, for established practitioners such as psychiatrists, consultants, mental health nurses, therapists, as well as healthcare support workers. We also have an increasing number of roles for those looking to grow their career working in mental health such as trainee nurse associates and clinical apprenticeships. Our services provide universal and specialist support including child and adolescent mental health services, health visiting and school nursing, paediatric medicine, nutrition and dietetics services, eating disorder services, speech and language therapy, occupational therapy and physiotherapy. There is a growing digital offer as well as integrated face to face services to support children, young people and families. We are focused on a whole-family approach across the Trust, working with our other clinical directorates as well as through strong partnerships with the local authorities and voluntary and community sector. Typical roles in this area of our services include Public Health Nurses/ Health Visitors and mental health nursing roles, Therapists, roles in Dietetics and staff to support our immunisation work to name a few. Our Community Health Services are our largest Directorate. They include adult nursing and therapy services, providing physical health services to patients both in our own community hospital settings and supporting patients with care delivered in their own homes. Our services include general and stroke rehabilitation, end of life care, physiotherapy, occupational therapy, speech and language therapy, podiatry and falls prevention to name a few. Our Community Health Services also include mental health services for older people which are delivered both from our specialist inpatient units and in community settings. We can offer a wide range of opportunities in this area of work. Our hospitals offer all the roles you would expect there, including Nurses across a range of levels, Healthcare Support Workers and a range of Therapy related roles for both registered and unregistered staff. We also have roles in podiatry, as well as operating a Single Point of Access contact centre to co-ordinate patient care. Our community roles include District Nurses, Community Nurses, roles supporting virtual wards, and phlebotomy roles alongside others. We are actively exploring new roles to support our service delivery. Many of our wards now include pharmacy related roles. We are also actively engaged with training and developing Nurse Associates and have a well-established clinical apprenticeship scheme. 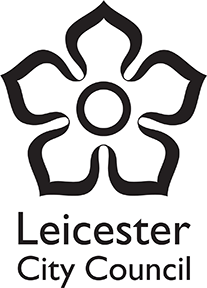 Our vision is to improve the health and wellbeing of the people in Leicester, Leicestershire and Rutland by providing high quality, integrated physical and mental health care pathways. Please fill out a few details below so we can help you with your enquiry.